The following are from the Oxford English Dictionary arbitrarily divide into three sections-before 1500, 1501 to 1600 and after 1601. The following are dated before 1500. 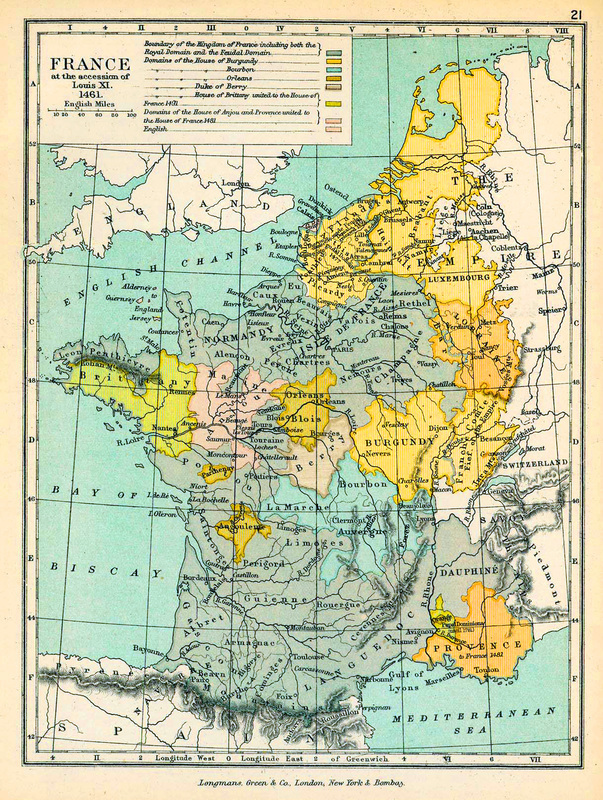 Even though England ruled over one fourth of modern day France, there was little influence on the English language. The following are dated from 1501 to 1600. The following are dated after 1600. The list is not exhaustive. At a certain point in the research, I stopped adding words after 1600. Therefore, the majority of the words are from before 1600. It seems that before the year 1500 there were words to describe the people (1205,1387) and the language (1300). We infer that there was not much commercial involvement since "French Crown" does not appear until 1599. Of the 32 words dating from 1501 to 1600, 23 words date after the year 1550. We can infer that before 1550 there was little influence upon English from the centuries old rivalry with France. 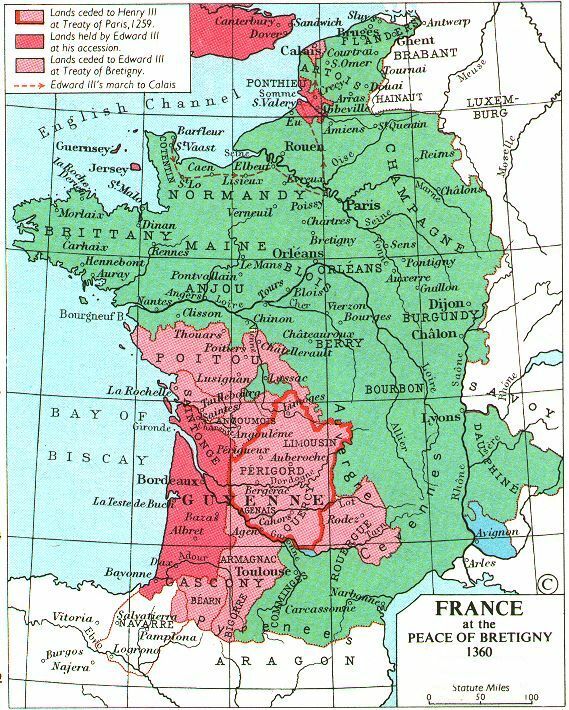 In fact, if we did not know that "French" can mean either the language or the people, we could erroneously conclude interactions between the French and the English did not commence until the 1540's. Although the words dating after the year 1600 are not exhaustive, the lack of words dating before 1550 strongly indicates minimal actual influence. Once trade or travel commences around 1540, there is an explosion of the use of "French" as an adjective describing various food (beans,onion,nuts), clothing (hood,sleeves,herring bones,lavender), flowers (sage,marigold) and architecture (panel). This indicates that all things French became fashionable in the last half of the 16th Century. Frenchify (1592), Frenchery (1593) and Frenchified (1597) support this conclusion.